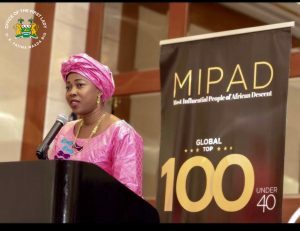 First Lady honoured as Global top 100 most influential people of African decent under 40. 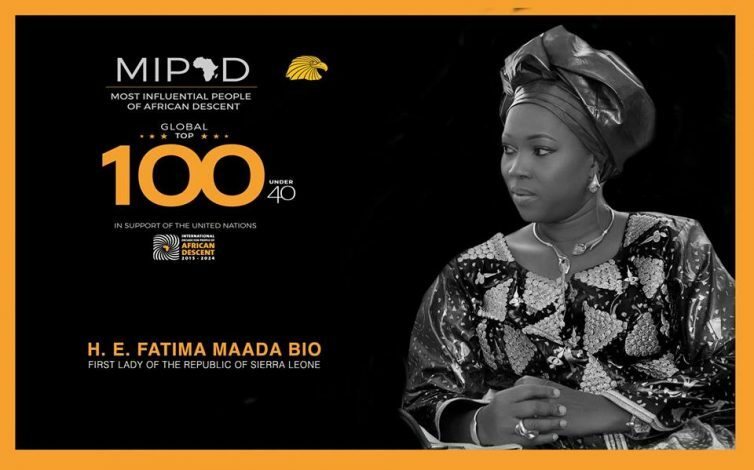 New York, United States, Wednesday 3rd October 2018 – Her Excellency Mrs. Fatima Bio, First Lady of the Republic of Sierra Leone has told young Africans that when women are empowered in Africa then Africa will be empowered. She made this statement during an inspiring valedictory speech at the United Nations Plaza as she was honoured as one of the most influential people of African descent under 40. Speaking on the challenges of women in Africa, the First lady said that women are the assets of Africa and they should not be silent but empowered. She said that we need to have men in Africa who can also support women to achieve their potentials. Mrs. Bio also narrated her journey as a movie icon, through a campaigner for her husband to becoming a First Lady in Sierra Leone. “Even during our political campaign, there were people who used to question why was I playing such a leading role. But because of my empowerment, I was focused and determined to support my husband to become our President,” First Lady said. She also spoke about the contribution of Winnie Mandela towards the success of the late Nelson Mandela. The eloquent First Lady also used her valedictory speech to advise young Africans about the need to use their various platforms in the diaspora to positively impact the lives of other Africans by saying: “The greatest achievement is not the amount of awards you receive but the lives of Africans you have changed”. As someone who is also passionate about Sierra Leone, the gorgeous Mrs Bio used her speech to market Sierra Leone to young African professionals from various fields and entrepreneurs.  She told them: “If you have heard anything negative in the past about Sierra Leone, I am here to confidently inform you that Sierra Leone is the most beautiful country in the world.” She told them about the many investment potentials in Sierra Leone. Her Excellency also used her valedictory speech to shower praises on her husband and spoke about how proud she feels about the impressive work of her husband in office. She spoke about her husband’s passion for education which should be the priority of all African leaders to empower women and children in Africa. “I call on all other African leaders to emulate what my husband has done to introduce free education for children from pre-primary to secondary school,” Mrs Bio said. His Excellency President Julius Maada Bio who was the special guest at the award ceremony also received many commendations from speaker after speaker for gracing the award which many said showed Bio’s passion for young people and his commitment to a united and prosperous Africa. Her Excellency Mrs Fatima Bio received a “Hall of Fame Award” for her outstanding contribution in humanitarian work and was giving the special honour to present the valedictorian speech on behalf of all the awardees for the class of 2018. 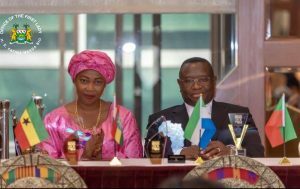 Mrs Fatima Bio continues to show passion not only for her excellent work as First Lady in championing issues of women and children in Sierra Leone but also her audacious valedictory speech would demonstrate that she is becoming the strong voice for the empowerment of African women. During the award ceremony, a Lifetime Achievement Award was also presented posthumously to Kofi Atta Annan in recognition of his service to humanity through the United Nations and his contributions to Africa. Various other speakers at the award ceremony included the Anthropologist Dr. Sheila Walker; Director, New York Office of the High Commissioner for Human Rights, Craig Mokhhiber and Coordinator UN Senior Africans Group and CEO, African Renaissance and Diaspora Network, Dr. Djibril Diallo. 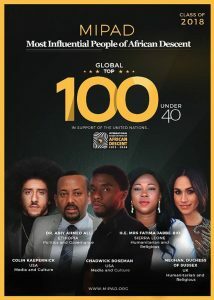 The Most Influential People of African Descent (MIPAD) identifies high achievers of African descent in public and private sectors from all around the world as a progressive network of relevant actors to join together in the spirit of recognition, justice and development of Africa.